Mobile applications are your best friends and there may be hardly any mobile users who might not be aware of the versatility they boast. Mobile Apps make your day-to-day life easier by assisting you in various instances. For example, with innovative mobile apps, you can easily get access to your nearest cafeteria or restaurant; it also serves as your newsflash provider, can even assist you in performing all your regular business activities efficiently and with ease. Incidentally, if you are looking to develop your apps that can aid streamline your business output, handle business better or just entertain you better then we at BroadNet Technologies welcome you to assist you with open arms in helping you realize your visions practically. We are armed with a team of expert mobile app developers who are savvy and experienced enough to develop your apps and ensure a better experience regarding usage in a variety of purposes viz. entertainment, business management, lifestyle, productivity and so forth. Over the years, we have developed mobile applications of a wide range of mobile phones such as iOS, Blackberry, Apple, Android, Windows phone and Ipad, so developing your mobile app according to your preferences is a piece of cake for us. Savvy mobile apps developers with years of experience in developing iOS, Android, BlackBerry, Windows Phone, Ipad. 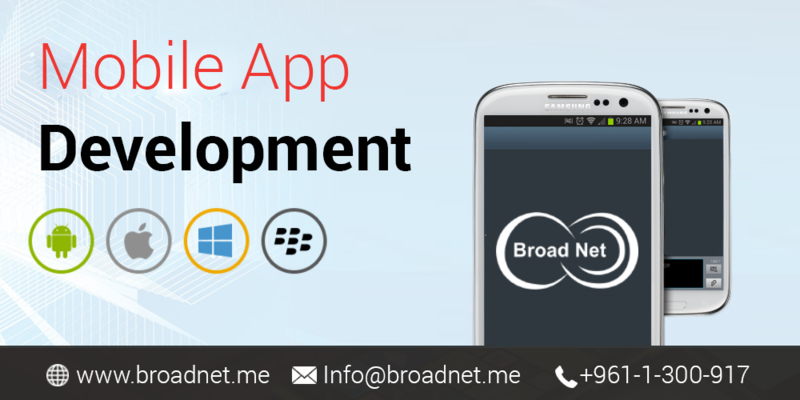 So we are confident that you would like to consider BroadNet Technologies for developing a wide variety of mobile apps ! Let us know about your mobile app specifications and our expert team of mobile app designers and developers will walk the extra mile to get the work done for you satisfactorily.